Living the American dream is not easy when you are an Afghan. Ms Shaesta Waiz, a refugee from Afghanistan, was told that when she informed her family of her wish to be a pilot. “I remember one of the first things I heard was my grandmother saying, ‘If you become a pilot, what Afghan man will marry you? '” the 30-year-old told The Straits Times. She was in Singapore for five days, from July 29 to last Wednesday. But she was determined to make the sky the limit, and to do that, she had to smash through glass ceilings. 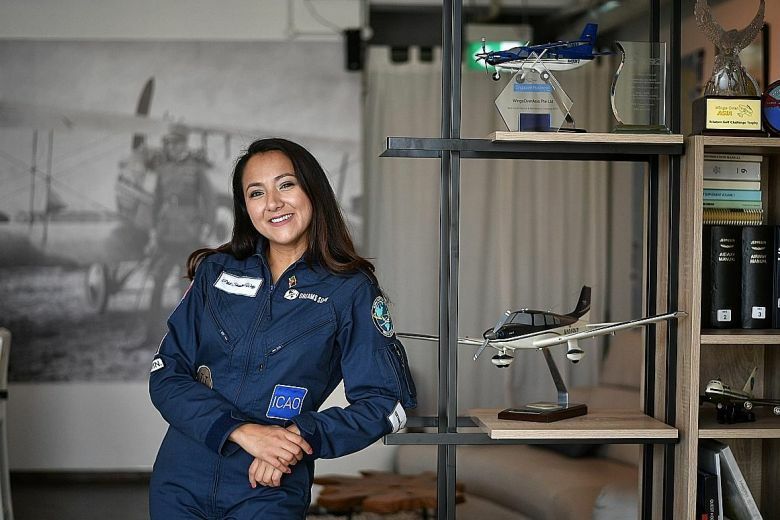 Today she is on a solo trip around the world, and if completed successfully, it would make her the youngest woman to have done so in a single-engine aircraft. Ms Waiz was born in a refugee camp in 1987 after her family fled the fighting that erupted after the former Soviet Union invaded Afghanistan. At three months old, she moved from a refugee camp in Pakistan to Richmond, California in America.